During the Cold War, the Soviet Union and its Warsaw Pact allies could expect all sort of dangers if they ever got into a war with the United States—including nuclear weapons. The Pentagon was even prepared to deploy B.Z. gas. Sometimes read “buzz,” these letters were the codename for a chemical agent that would incapacitate rather than kill enemy troops. While nonfatal, B.Z. causes a wide array of potentially incapacitating symptoms in its victims. Headache, dry skin, drowsiness and constipation sound relatively mundane—like the side effects you hear in prescription drug advertisements. “The incapacitating agent B.Z. munitions give the commander a capability to apply a nonlethal force in selected situations,” the previously confidential document explains. The Army hoped the new gas would allow it to seize territory without having to rebuild everything afterwards. American troops could also launch attacks into areas without risking widespread civilian casualties. Hoffmann-La Roche, Inc. invented the compound in 1951, but for medical use rather than combat. However, the Pentagon was becoming very interested in psychoactive chemicals as potential weapons at the same time. By 1960, the Army Chemical Corps had started seriously experimenting with mind-altering substances like B.Z. and LSD. 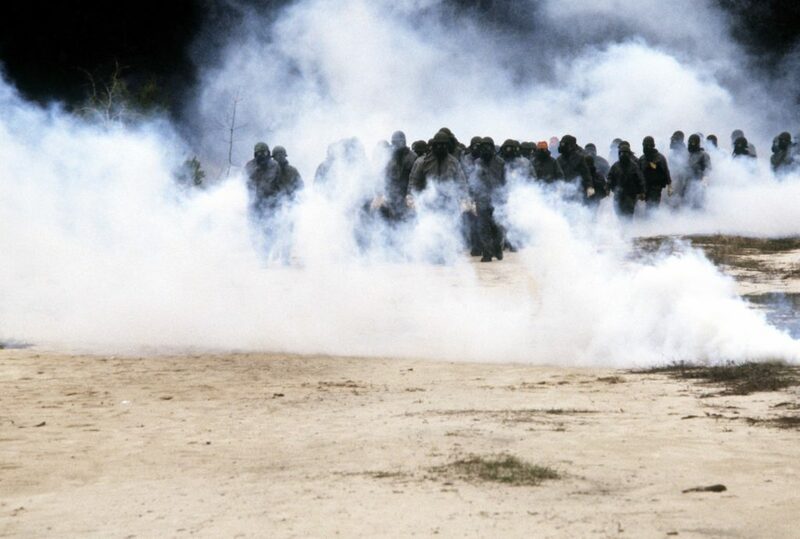 “In a publicity effort, the Chemical Corps showed the potential of incapacitants … as ‘fear gas’ or ‘war without death’,” Reid Kirby wrote in the May 2006 issue of The CBW Conventions Bulletin. The Pentagon formally added B.Z. to the American arsenal the following year. The plan was to gas enemy forces with cluster bombs carried by either small propeller-driven planes or fast flying jets. 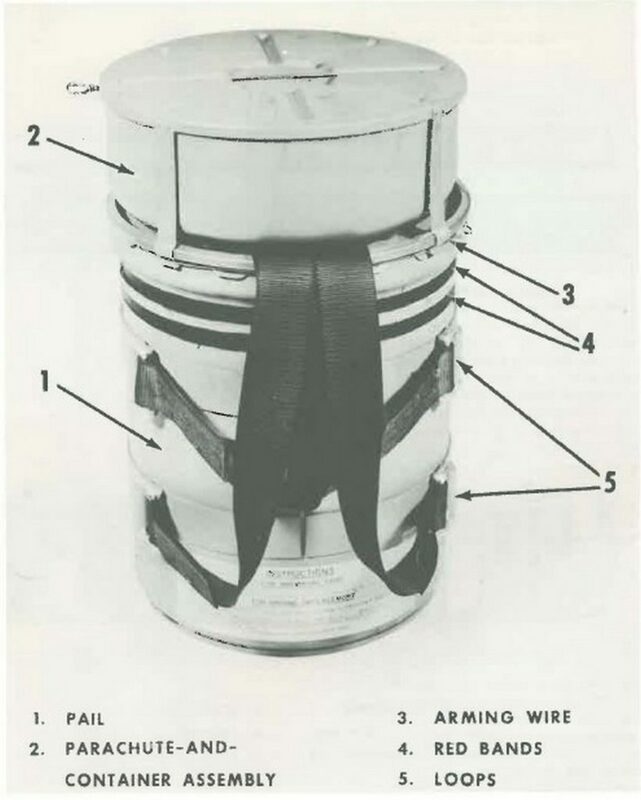 American troops could also use special canisters to generate a thick chemical smoke. These so-called “B.Z. generators” could be dropped from aircraft with a parachute or set up on the ground so the fumes would waft into enemy positions. In theory, a B.Z. attack could have been devastating to an opposing army enemy. Unfortunately, the Pentagon’s new weapon also had serious limitations. For one, all chemical weapons—B.Z. included—are subject to the whim of the weather. A change in temperature or a shift in the wind could alter the agent’s effects or put friendly troops at risk. But B.Z. already had highly variable effects even when it was working as expected. “NOTE: EACH INDIVIDUAL WILL BE AFFECTED DIFFERENTLY,” the Army publication declares. Gassed soldiers might not start feeling the effects for three hours. Those troops could recover in a day … or still be reeling from their buzzes at the end of the week. Civilians exposed to the agent would run the same risks. The Army warned its commanders that this might cause unwanted casualties by disrupting first-responders like police, firefighters and medical professionals. “The various characteristics of … agent B.Z. cannot be categorized as being either advantages or disadvantages, because an advantage in one situation may, in fact be a distinct disadvantage in another situation,” the official training circular laments. In the end, B.Z.-filled ordnance never made it to the battlefield. Pentagon tests to see how well the gas might work in jungles—possibly a prelude to sending the cluster bombs to Vietnam—went nowhere. The Army finally destroyed its stockpile of B.Z. bombs and smoke pots between 1988 and 1990, according to the Army Chemical Materials Activity’s Website. However, the items were still listed in the service’s official catalog of chemical ordnance a year later. The Chemical Weapons Convention now bans compounds like B.Z. from the battlefield completely. However, the treaty does allow countries to manufacture the substances for non-violent uses.